Our shop is staffed with full time, experienced locksmiths who are happy to help you. In most cases we can repair, re-key or provide you with replacement parts while you wait. 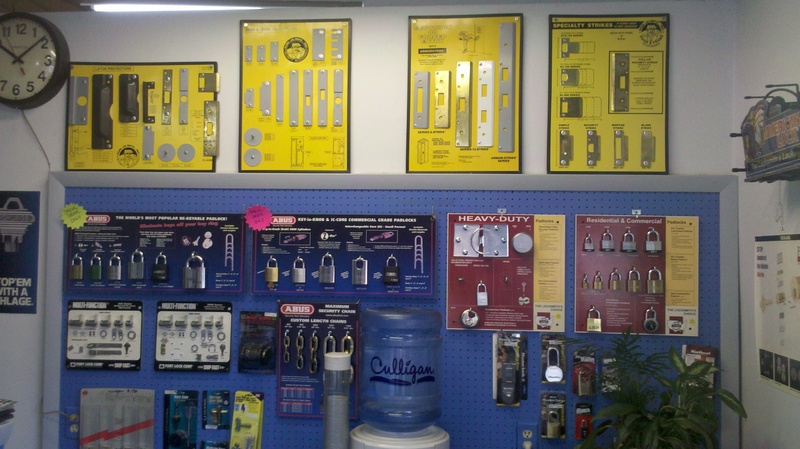 Come in and get expert advice and see our hands-on displays of various locks, deadbolts, door knobs, entry handle sets, padlocks, security strikes, cam locks, hasps and chains. We carry a large inventory to satisfy your needs. We have key boxes for 6 to 600 keys with standard key lock or combination. We have safes, both new and used, small and large. Padlocks can be keyed alike, keyed to your key, master keyed, weather-proofed and rigged for high-security. We carry time-tested brands of locks ranging from good economy brands to architectural, styled hardware. 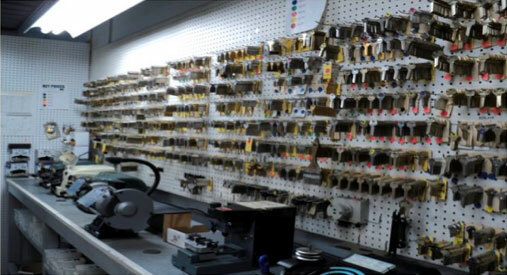 We’ve got everything from residential-duty locks to commercial heavy-duty locks. Ourlocks come in a variety of finishes and styles which can be incorporated into your existing style. Or we can help you change out the hardware you have for a new level of security and beauty. 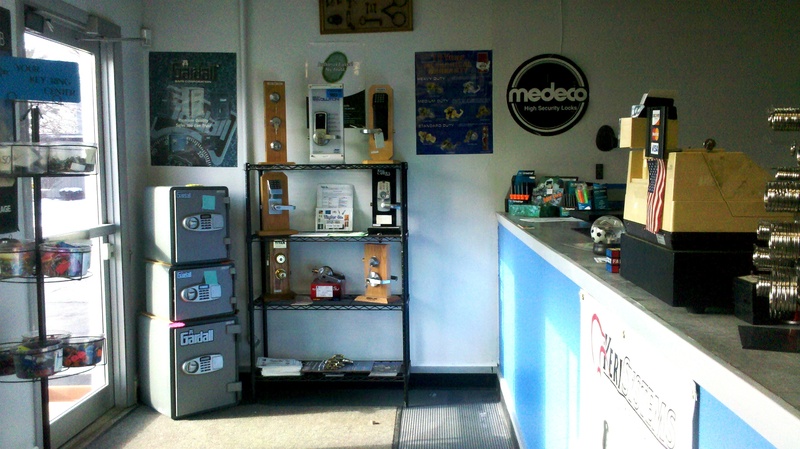 High Security locks like MEDECO and Schlage Everest Primus and Kaba are stocked items for us. Our experience has helped us select only the brands that are reliable and tough! Our name is on the front door and we stand behind the products we sell. Do you have a BEST®-type interchangeable core system and need service? Check out our fast FAST response time servicing interchangeable core type locks. We open, repair, re-key and master key and can set up entire master key systems or fit into your existing system. We can set you up with a core removal key so you can save time and money by bringing cores into our shop for re-keying. And you can trust that we are using professional locksmith methods that enhance your security. Having trouble getting a key duplicated? We can help. We have old style keys and the machines to cut them. Tubular keys and most hard to find keys are no problem for us duplicate at our shop. Drop by the store today! Tinder Co. are experts in both Commercial and Residential access control, security and surveillance, electrical and mechanical door hardware, repair, replacement and more.